BREMEN - Inter suffered a 3-0 defeat at the Weser stadium in Bremen to the hands of Werder, in the game valid for match-day 6 of the UEFA Champions League 2010-2011. 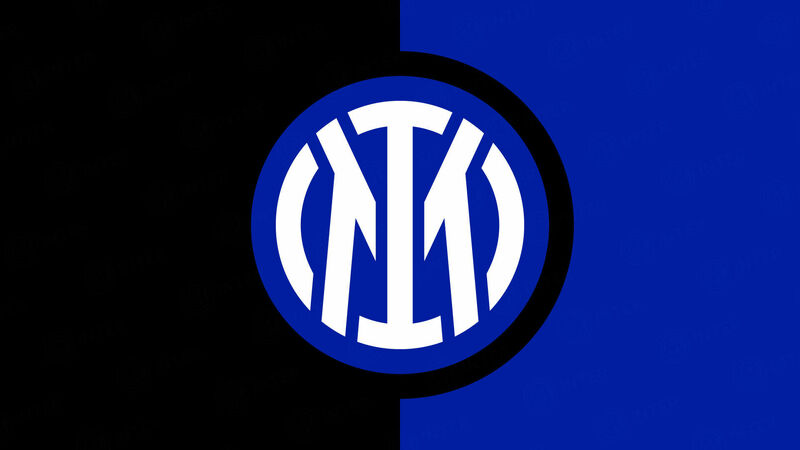 The Germans were mathematically eliminated from the tournament even before the game kicked off, but despite this they were in no mood to allow any space or an uncomplicated time to Inter, who after 45 minutes were forced to go into the break 1-0 down. It was Prodl who open the scoring on 38' from a Frings cross, and a goal from the former Inter-man Arnautovic and one from Pizarro opened and closed the second half as the game ended on the score of 3-0. 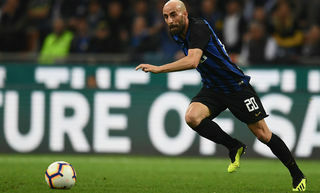 FIRST HALF - Finally, at 38 years of age, Paolo Orlandoni got his debut in the Champions League, it arrived after Benitez decided to rest Castellazzi. On the bench, next to Inter's second goalkeeper sat the third also, Alberto Gallinetta. 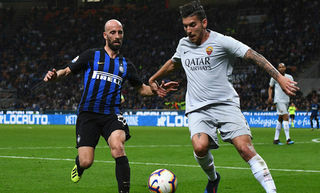 A muscular problem in fact forced Materazzi to leave the pitch after the warm-up: in his place Cambiasso started, as he is no stranger to this area of the pitch. Benitez also fielded two youngsters as well as Santon: Biraghi and Nwankwo. After missing out against Parma and Lazio in the league due to his ban, Eto'o regained his spot starting up-front in Europe. The Germans began playing by pressing high up the pitch and with a lot of caution, and it was Werder that went for the Nerazzurri target first through two crosses from Marin (7') and Schmidt (13'), both however were way off. The first Nerazzurri initiative came on 19' with Thiago Motta, who shot with his left from distance, but the ball sailed above the bar. And whilst Marin's and Frings' long passes never found their targets, there was a super Cambiasso closing every available space to the Germans and proving himself to be the leader in any zone of the pitch. 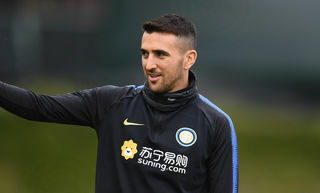 Orlandoni got his timing right to save the Inter goal and sent Almeida's left footed volley, after a long ball from Hunt, out for a corner. The Werder Bremen goal arrived six minutes later from a Frings' corner kick, Prodl jumped to make the header and the Nerazzurri defence was caught off guard after Coroba's effort to anticipate the opponent. SECOND HALF - Same twenty-two players on the pitch for the second half, but an extra goal. It was Werder Bremen's second through Arnautovic, who dispatched a quick, precise and lethal left footed volley from a Hugo Almeida cross. Benitez replied and, 5 minutes in, made his first change (Santon coming off for Biabiany), the second change however was forced: after a clash with Marin, captain Zanetti had to stop, the Spanish coach opted not to run any risks and, on 9', substituted him for Natalino. Werder insisted, trying again with Schmidt crossing for Arnautovic who this time with his head, sent the ball just wide (18'); but on 22' the opportunity was for Inter: after winning a corner with Biabiany, Pandev took the corner serving Eto'o who returned the ball to the Macedonian for the shot which struck the post; with his usual determination, Cambiasso beat everyone and got to the ball, but the latter ended just out of play. Shaff then began to make changes in the Werder team, Almeide off for Pizarro, and Benitez used his last available substitution: Mariga on in place of Thiago Motta. After this the game returned to its original theme: twice in two minutes Werder hit the woodwork, first with Pizarro (35') and then with Hunt (36') and then a third time, the definite one for the game. This time it hit the post and then went in as Pizarro's effort beat Orlandoni and sealed the score on 3-0. With almost no injury time conceded, the game between Werder Bremen and Inter ended. The Nerazzurri qualify in second place in the UEFA Champions League group with 10 points. Tottenham qualifies as first with 11 points after their 3-3 draw away to Twente. Werder Bremen: 1 Wiese; 3 Pasanen (16 Silvestre 84'), 15 Prodl, 29 Mertesacker, 8 Fritz; 22 Frings, 41 Schmidt; 7 Arnautovic, 14 Hunt, 10 Marin; 23 Hugo Almeida (24 Pizarro 75'). Unused subs: 21 Mielitz, 18 Kroos, 19 Wagner, 20 Jensen, 44 Bargfrede. 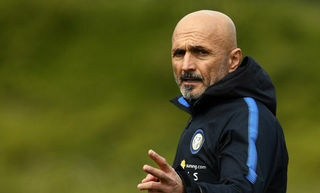 Inter: 21 Orlandoni; 4 Zanetti (57 Natalino 54'), 2 Cordoba, 19 Cambiasso, 34 Biraghi; 39 Santon (88 Biabiany 50'), 8 Thiago Motta (17 Mariga 76'), 40 Nwankwo, 11 Muntari; 27 Pandev, 9 Eto'o. Unused subs: 12 Castellazzi, 92 Gallinetta, 48 Crisetig, 54 Dell'Agnello. Notes: Booked: 68' Pasanen. Injury Time: 0 and 1. Benitez: "World Cup, now it's time to show our pride"